What makes McLane Creek NT more than just a nice hike is the diversity of environments it traverses and the scenic viewpoints and interpretive signs along the way. McLane Creek NT makes one big loop, beginning at the very end of the McLane Creek NT entrance road off of Delphi Road in Olympia. A shorter trail, called the Old Railroad Grade Trail, splits the McLane Creek loop in half by following the path of a railroad bed. The large loop is 1.1 miles long; the shorter loop .6 miles in length. 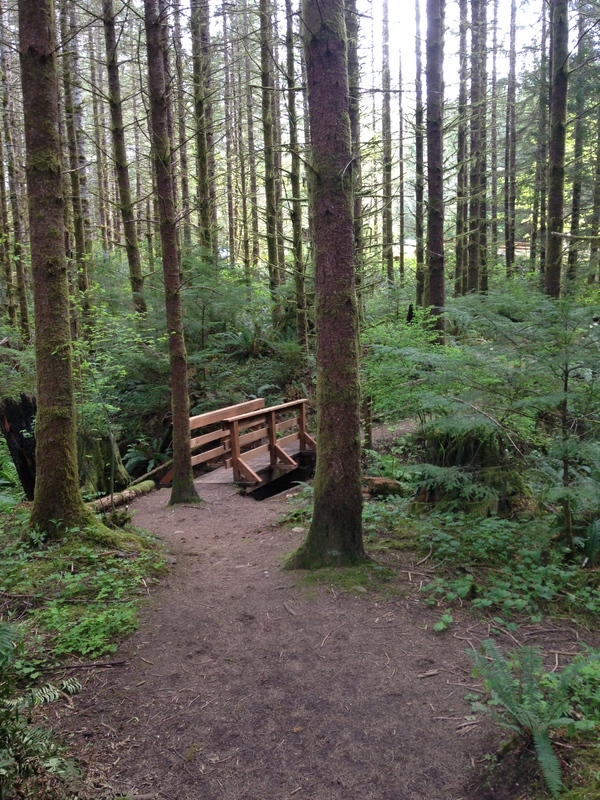 Why I like this trail: McLane Creek isn’t a very long trail, but it is interesting. Several signs point out natural and historic features. 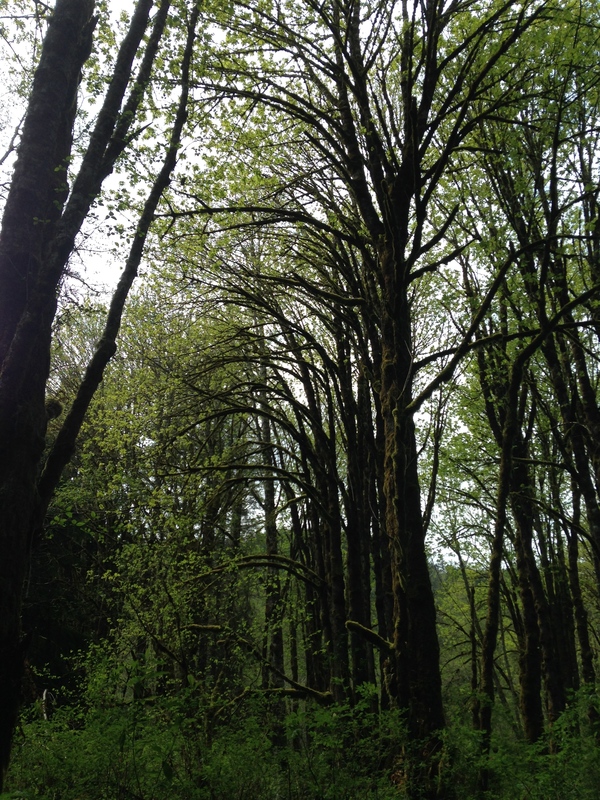 It’s also interesting to see how much the forest has recovered since its days as a logging site 100 or more years ago. Lastly, wildlife is abundant along the trail, especially at the beaver pond where ducks and other birds are plentiful and you can often see fish and amphibians swimming in the water beneath the view platforms. Overall, it’s a great place to explore, regardless of age or interests. = A third to half of the larger loop traverses boardwalks. 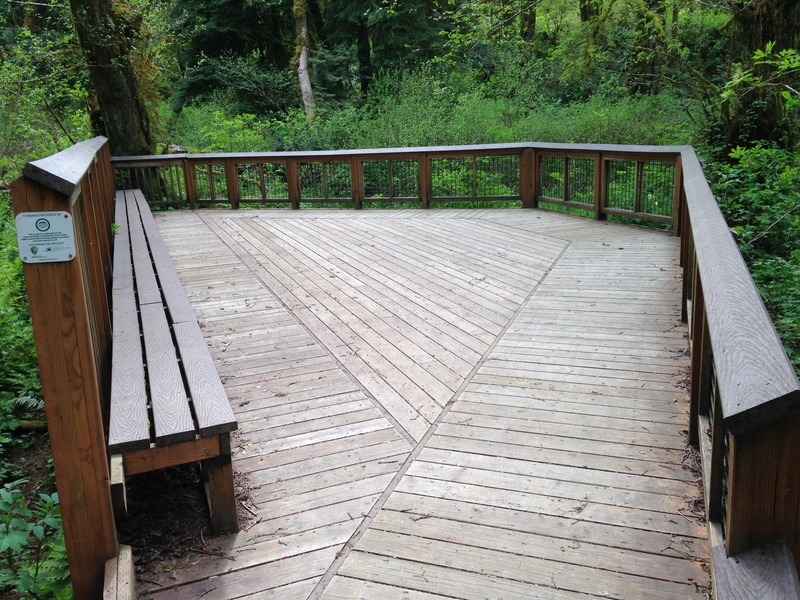 At key points, these boardwalks become or lead to viewing platforms overlooking the beaver ponds or McLane Creek. 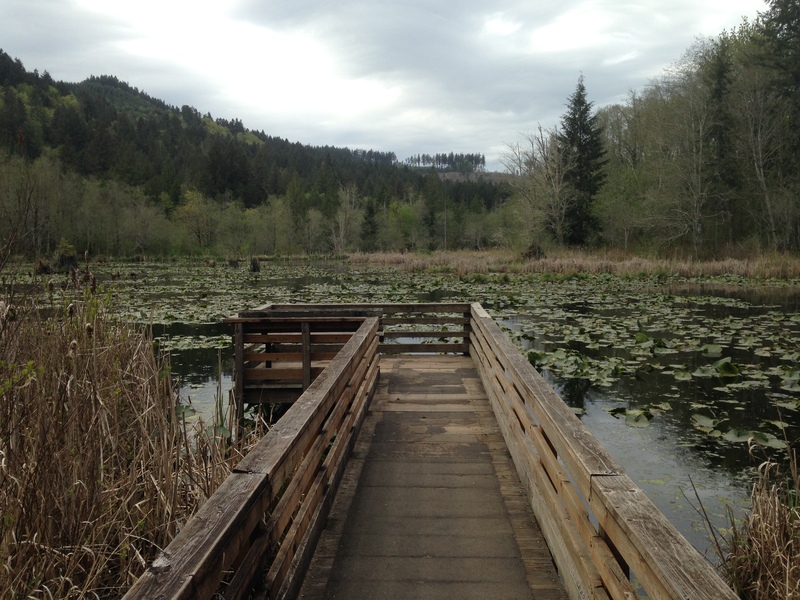 Two viewing platforms extend into the beaver pond and parts of the trail near the parking area are handicapped accessible. The entire trail (and that in Centennial DF) is flat and easy to hike. = McLane Creek is very well maintained. 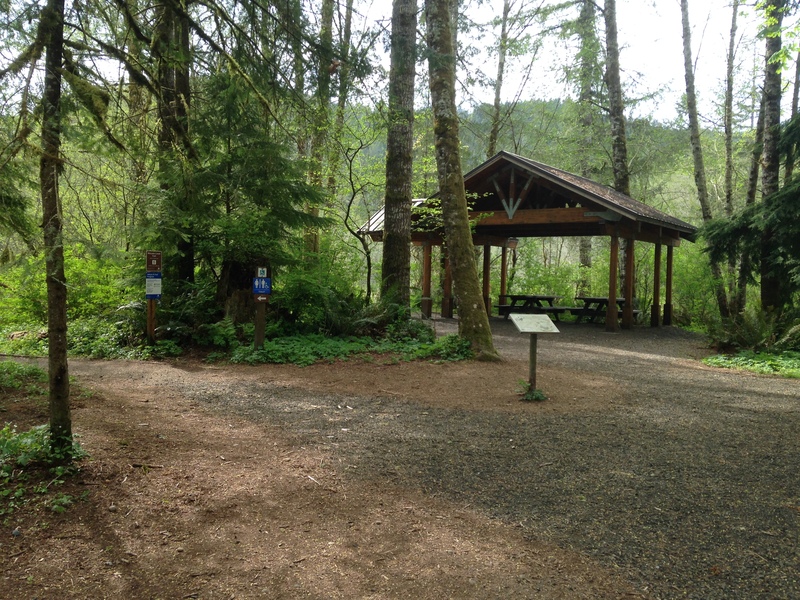 Restrooms are located near the McLane Creek trail parking area, as is a large shelter. 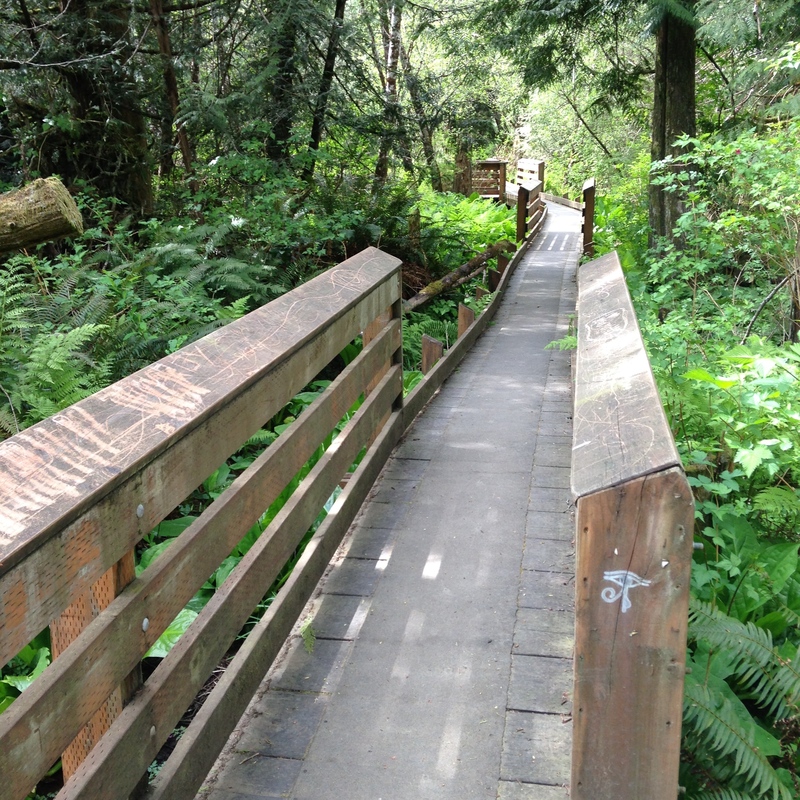 The boardwalks and viewing platforms are kept in great shape and the trail sections are clear of debris and well marked. When I visited McLane Creek in late April, trail crews were busy rerouting part of the trail north of the beaver pond. When I visited in January, crews had just installed new boardwalks on some of the trails nearest McLane Creek. 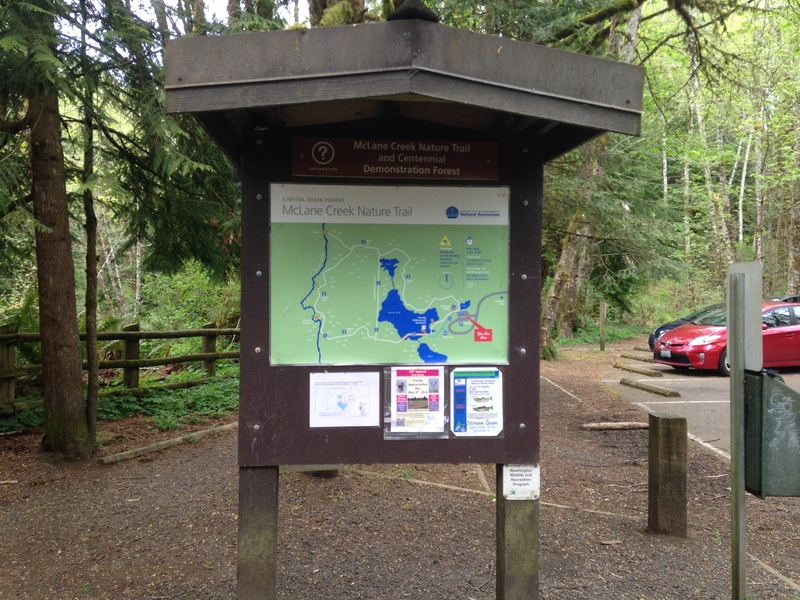 Plenty of parking exists at both McLane Creek and Centennial DF trailheads. = McLane Creek’s close proximity to the Black Lake area and downtown Olympia make it the ideal place for an afternoon or evening stroll. While McLane Creek and Centennial DF are technically part of Capitol SF, this small hiking area is separated from the rest of the state forest and located closer to main roads. 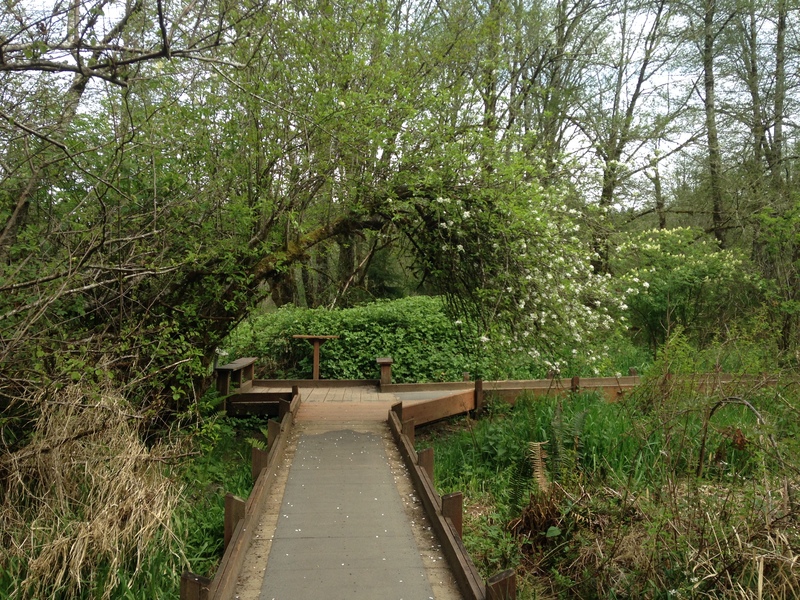 Where: Two parking areas along the entrance road let you access both McLane Creek and Centennial DF trails. However, you can easily hike between the two via a spur path. Access the entrance road via Delphi Road. If you’re coming from Route 101, take the exit for Delphi Road SW or the exit for Black Lake Blvd SW. The latter skirts around Black Lake before ending at Delphi Road; take a right at the Delphi intersection. When: McLane Creek and Centennial DF trails are occasionally closed one or two days of the week for maintenance and upkeep. This might only occur during the off-season though. I could find no listing of hours for the hiking area. 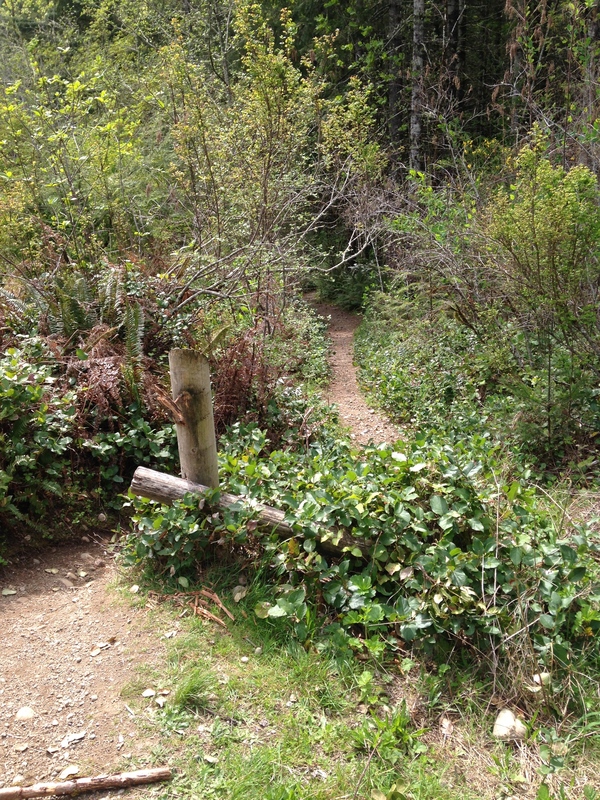 Trail Info: When I was at McLane Creek last, crews were busy rerouting parts of the trail above the beaver pond. These trails may still be under construction. Personally, I really like the interpretive signs at the nature trail. I enjoyed reading about local history and the signs cover everything from the regional logging industry to the former railroad of which visitors can still see evidence of. For more information check out this trail map, this Washington Trails Association review, and this map of Capitol State Forest. 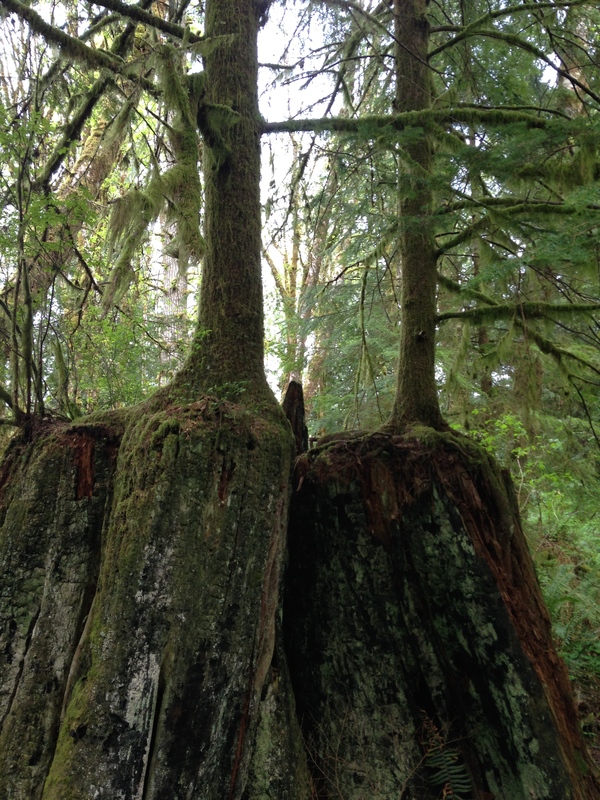 ← From the Trail: Wynoochee Lake Shore Trail – Bring your pith helmet for this one!